Ford Ranger owners can now add some serious spark energy to the factory ignition system with Performance Distributors’ new Ranger Firepower Ignition Kit. The kit consists of two Screamin’ Demon Coil Packs and a set of LiveWires spark plug wires. 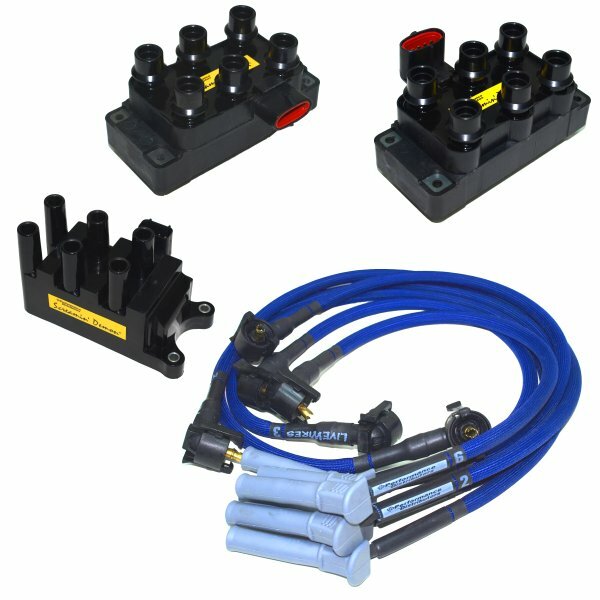 This kit is for all 1988 – 2000 year model 4 cylinder Rangers. The Screamin’ Demon Coil packs allow you to open up the plug gaps to a whopping .065″, burning your fuel more completely. The longer duration spark also keeps the plugs cleaner and the brass terminal coil connectors insure maximum conductivity. No drop off in power as you accelerate. The coils are epoxy filled , leading to improved heat transfer and vibration resistance. 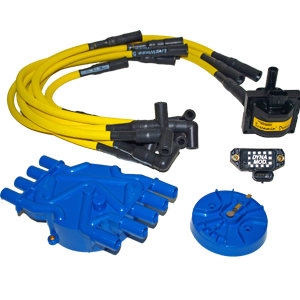 Installation is easy as all parts mount in the original equipment location with no modifications. The LiveWire plug wires are approximately 10mm in diameter, and perform as good as they look. Built with a glass braid heat sleeve, the LiveWires can withstand up to 1400 degrees! Each wire is also numbered on each end to correspond to the correct cylinder. Built with very low resistance, LiveWires deliver every ounce of high voltage spark that the Screamin’ Demon Coils produce. The LiveWires are available red, black, blue, purple, silver and yellow.